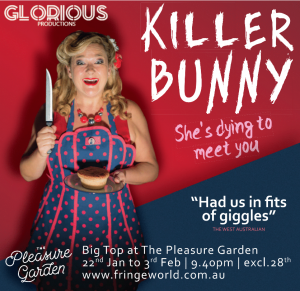 Killer Bunny – a new show! with international domestic goddess and funny person Bunny. Tell you’re friends, get excited but most importantly get your tickets here NOW!